Here are some questions that are commonly asked about volunteering with Candlelighters. Some of our volunteers at The Great Yorkshire Bike Ride. What do volunteers do at Candlelighters? 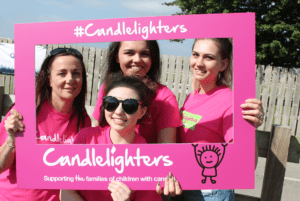 Volunteers help Candlelighters in various ways, including helping at events, welcoming families to our support centre, providing essential administrative and office support, helping to raise awareness about our work and more! Whatever the role, every single volunteer helps us to make a difference to children and families affected by childhood cancer. People volunteer with Candlelighters for all sorts of reasons. Some have a personal connection to Candlelighters and want to give something back. Some want to develop new skills or gain valuable work experience (volunteering is great to have on your CV!). Some want to make a difference to others in their community, whilst others want to meet new people or do something fun and rewarding. 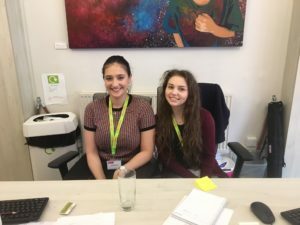 How do I find out about current volunteering opportunities? All our volunteering opportunities are advertised on our website and the Volunteer Role Profiles provide further information about each role. Due to the sensitive nature of our work, we have a thorough recruitment and selection process for volunteers. Events volunteers register their details on our website and attend one of our Event Volunteer Information sessions. The skills and experience required varies depending on the role and is listed under ‘Volunteer Requirements’ in the Volunteer Role Description. All our volunteers need to be 18 years old or over. The time commitment varies, depending on the role. Some roles involve a commitment of one day week, whilst others are less frequent or for a specific period of time. Events volunteering is really flexible as you can volunteer on a one-off or ad-hoc basis. The time commitment for each role is listed on the Volunteer Role Profile. Yes, all volunteers receive general induction training and role specific training to enable them to fulfil their role. Events volunteers are required to attend at least one Events Volunteer information/briefing session and will be provided with a written or verbal briefing prior to each activity. We believe that volunteers should not be out of pocket as a result of volunteering, so we reimburse reasonable out-of-pocket travel expenses. Can I volunteer with children in hospital? We do not offer volunteering opportunities on the wards. If you are specifically interested in volunteering in the hospital, please contact Leeds NHS Trust . This will vary depending on the role. 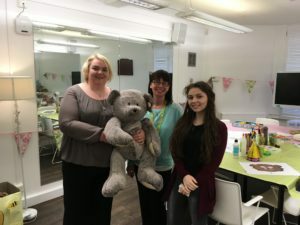 Some roles are based at The Square (our Family Support Centre) or administrative office in Woodhouse Square in Leeds. Other roles are based in the community or from home. The location of each role will be listed on the Volunteer Role Profile. Can I volunteer if I have received support from Candlelighters? We recognise that many people who have received support from Candlelighters want to give something back through volunteering, and their personal experiences, knowledge and perspectives makes them ideally suited to many volunteer roles. However, some volunteering roles may not be suitable. This to ensure the family are given the best possible care and support without any potential conflict of interest. This will listed on the Volunteer Role profile where relevant. All regular volunteers have a Volunteer Supervisor to support them throughout their time as a volunteer. Volunteering shouldn’t affect your benefits providing you follow the appropriate guidelines. Please see here for more details.